Professional Tile and Grout Cleaning Company Louisville. Do You have Dirty Tile and Grout? You don’t need to get on your Knees to Clean it! You Need a Professional Tile and Grout Cleaning Service Company In Louisville. At Rodriguez Cleaning Services, we know what it takes and how hard is to scrub those grout lines. Most of our clients call us because they are tired of doing the cleaning or they don’t have the time that it takes to scrub and clean the grout and tile. Our Steps 7 steps tile and grout cleaning will make your tile look its best. Rodriguez Cleaning Service will provide you with the best Natural Stone cleaning services in Louisville KY. Most of the time we combine the latest technology with hand brush and human power to get to those little details that make the differences. Our Stone Cleaning Process will bring your tile back to their original shiny looking. Check What Others Have to Say about our Textile Cleaning and Restoration Services in Louisville KY.
Our 7 Step Professional Tile and Grout Cleaning Service Louisville KY. Inspection: We will inspect the hardsurface floor to see the condition of them. Our Free inspection is an important step in our cleaning process because we can show you any damage if you have any and we will explain to you how you tile will look after the cleaning based on its condition at the moment. Set-up: After We quoted the cleaning for you we will move any furniture that needs to be moved. Corner guards will be put it in place to prevent damage to your wall as well as floor mats on hardwood floors to prevent over wetting them. Pre-treat tile and grout: A degreasing solution is sprayed down on the surface and allowed to dwell for up to 20 minutes. This solution will lose the accumulated soil, grease, contaminants, and topical residues. It creates emulsification that separates the soil. Power scrub surfaces: We will scrubber with brushes the grout lines as well as the tile surface, edge, and baseboard cleaning are done at this time. The Hand brushing is a crucial part of the process to ensure that the solution gets everyone in the tile and grout. Speed dry/inspection:Remove any remaining water on floor. Place high powered air movers to dry tile and grout lines. Inspect surface for any staining. Spot clean any stains found it. Sealing: After cleaning we can seal your grout to help prevent resoiling and increase the longevity of the grout. Grout’s high degree of porosity allows fluids and dirt to be absorbed, resulting in stained or dingy looking grout. Applying a sealer will help fill the pore structure and help keep the grout from absorbing stains and foreign materials. When you hire Rodriguez Cleaning Services to take care of your Tile and Grout Cleaning Louisville Need ,you don’t take any risk. 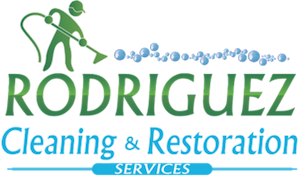 Why Rodriguez for your Tile and Grout Cleaning Service? Reputation: Rodriguez Cleaning Services has been Cleaning Hard Surface since 2012 and at this moment we are a 5-star Rated Company that it’s exclusively referred by Most of the Flooring dealers, Realtors and Interior designer in Louisville to assist their clients. Experience: When opened our door in 2012 we made the decision to step up and get the work done when nobody else wanted to cleaning those terrible tiles.. Doing this for many year allowed us to seen and cleaning any soiling conditions known to our industry. Systems: We have the most advanced equipment and solutions in the tile and grout cleaning industry that combined with our procedures will allow us to offer a high quality service. Education: At Rodriguez Cleaning Service we believe that education is the key to offer outstanding service and for this reason, we take yearly training and we are IICRC certified in many Professional cleaning trades. Guarantee: We you hire us you don’t take any risk to hire the wrong company or loose your money. We want to earn your business with hard work and dedication. We offer 100% money back guaranteed if you aren’t satisfied with the service. If we do something wrong we will rush back to your place to fix anything wrong. Tile and grout is usually very difficult to clean, and more importantly, keeping them clean! Usually we find tile in kitchens where we naturally have grease. You probably found difficult to clean the grease or black lines on your grout but our equipment will remove all that grease and soil out of the pores on the tile, stone and especially grout lines. After we use our machine you floor will dry with 4 hours. The most important part of our process is that we use hot water around 230 F, which will remove the grease and make your grout bright one more time. Our Tile and Grout cleaning services is highly recommended for many realtors to their clients when they are putting their house for sale. Our process makes you flooring looks its best. We have professionally cleaning tile since 2012, within these many years we have clean all kind of tile from ceramic, travertine to some other ones, including VCT. But don’t worry our cleaning process and solutions also apply for stone cleaning. We Are A IICRC Certified Tile and grout cleaning company in Louisville. We have the training, Education and Systems. Our powerful and exclusive 6 cleaning process will restore your tile and grout to a like new condition. The process will remove those stubborn stains and years of soil build up safely, effectively and economically. Free Consultation and Tile Cleaning Estimate. Commercial or Residential Tile and Grout cleaning Louisville KY.
Rodriguez Cleaning Services provides top quality professional work at reasonable prices. You won't find anyone to work with who is more honest and conscientious than Rodriguez Cleaning Services.